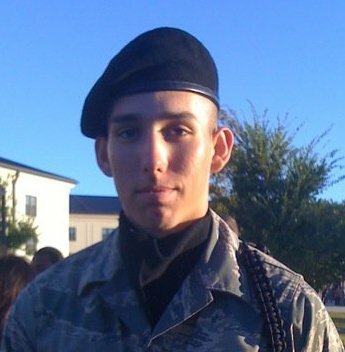 Airman Nick is scheduled to fly in for the Holiday Exodus, Wednesday evening. He graduated from Lackland this past August, and has been attending Tech School in Keesler, MS ever since. He'll be gone before the new year begins, but anytime to catch up will be good times. I am hoping to get him downtown Thursday night, But I understand I do have to share him with the rest of his friends. Thinks have been hectic on my end, thus the snails pace of posts. I;m sure I'll find some time to rattle some cages soon enough. Joel is Home . . . for now. This isn't over by a long shot, but it is a good first step. Joel Rosenberg, MOB Member, friend, carry advocate, renowned carry trainer, author, and MPD Gadfly, is in jail . . . STILL! A Minneapolis man who claims to have a right to carry a gun in City Hall faces charges for bringing a loaded weapon into the police chief's office last month. Now, we reap what we sow, and all that. But as you read the case you'll see that the Police officer A MONTH AGO, return the gun to Mr Rosenberg after disarming him and politely asked him to return the gun to his vehicle. Sure would imply to me that that would be that. Not in this case. Remarkably, the court is holding Joel on $100,000 bail and continued his hearing till after the first of the year. Just plain senseless. I'll be following this to see if/when the court comes to it's senses. OK, it's finally over, and what we have known all along will become official within the next few hours. Now, the political landscape isn't quite what you were hoping for, but that doesn't mean there isn't opportunities. The local Right Wing smear machine is taking a page out of the national playbook, already. They are planning, hoping, and praying for you to fail. The Legislature will do whatever they can to set bugs and booby traps in your way. Let them. The Minnesota electorate will see them for who they are. The MN GOP has never been a forward thinking bunch, pacifying their base until the real people get hurt enough that they vote them out. It will happen again, in a couple years. For now take the high road. No need to roll over or capitulate. We learned from the outgoing Governor that there are a variety of options for you when working with an opposition legislature. Relax and be relieved. If their pattern holds true, they'll implode soon enough. And you'll be there to pick up the pieces, and show everyone the true leader you are. Sometimes I wonder if the Democratic Party actually has a plan. These tax relief negotiations are something that should have happened BEFORE the midterms, especially the vote. The Left would have been in a position of strength, whereby they could DARE the Republicans to vote against Tax Cuts for all before the midterms. This would have saved their house majority. But they didn't, and now they are backed into a corner. - Business tax breaks: Cost unclear. It is still not clear how many business tax breaks are in the package. Some, like an extension of the research and development credit, has drawn bipartisan support and is typically renewed annually. But also included is a new temporary option for businesses to write off 100% of their expenses in 2011. A cost estimate was not immediately available. - Estate tax: $88 billion. exemption level would be raised to $5 million and the top rate lowered to 35%. Another deficit killer. Everyone wants to give away money, but no one wants to make the tough budget cutting decisions that need to happen. And I mean meaningful cuts, not Freezing salaries and chopping apart Earmarks, feel good actions that are pennies to the budget. GOP, come back to me when you have meaningful tax cuts, like a 20% cut in defense!! Dems, let me know when you are willing to do the same in Health and Human services, or even Education. Isn't there at least some group of true fiscal conservatives who have the guts to do what is needed, regardless of personal electoral peril? There is a reason I tend to support Democratic candidates in the face of my right leaning moderacy. The Left is a forward thinking compromise based group, whereas the Right is a power hungry unmovable behemoth. The current stunt they are pulling nationally, block everything and anything until they get their way, is no different than what is happening here in the recount. It's all about power and the base. But what happens when the base begins to wane. Lets look at that. The Dayton campaign said that of the 2,776 ballot challenges Emmer workers have filed, 98.2 percent have been declared frivolous. By contrast, 39 Dayton challenges have been ruled frivolous, according to the campaign. Those challenges were wearing thin even on some Emmer voters. "I'm an Emmer supporter, but I think what's going on here is a bunch of nonsense," said Steven Camp, a Robbinsdale resident and small-business owner who worked as a Hennepin County table official. But Camp didn't blame Emmer. He suggested larger forces may be at work. If Republicans delay the recount long enough or contest it in court, the planned Jan. 3 swearing-in of the next governor could be delayed. "It seems to me, frankly, that Emmer is something of a pawn in this situation," Camp said. Being a pawn is NOT the mark of a leader. If Rep Emmer wants any hope for future political viability he needs to recognize a couple things; 1) there is no path to victory for him; and 2) The behavior of his recount team and the MNGOP smear machine is causing frustration even within his base. Rep Emmer has a choice to make, if it is his choice and that is to simply recognize reality. If there is a decision to move forward with an election contest post recount, we'll have our answer. No sensible leader would continue after the process is complete . . . unless, of course, he is merely a pawn.